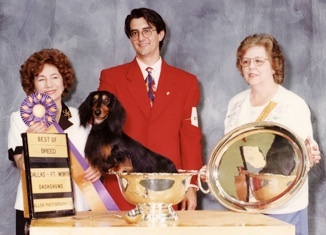 Our family breeds quality AKC miniature Dachshunds for show and companionship. 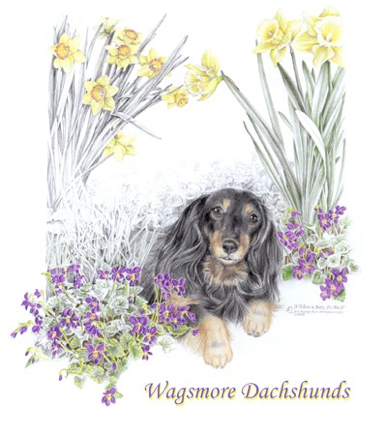 We have been involved with this delightful breed for over 20 years. Our dogs are beloved members of our family. 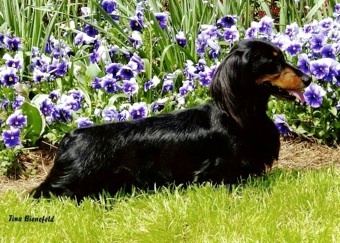 Our mission is to selectively breed quality Miniature Longhaired Dachshunds exclusively, producing happy healthy dogs that exemplify correct breed type in structure and temperament. Our show dogs are ambassadors of their breed here in the USA and around the word, excelling in all facets of competition: Conformation, Field Trial, Earth Dog, Obedience, Agility, Rally and even Tracking. Our companion dogs make such wonderful pets that it is not uncommon for families to return to us to add a second or third member to their family. 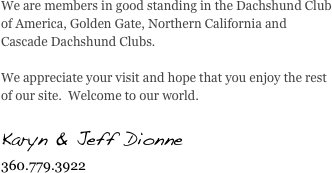 We appreciate their trust and consider this a very high compliment to our breeding program.